A very happy new year to you all! Hope you have a wonderful, peaceful and a joyous 2013. Welcome to Wish list Wednesdays. 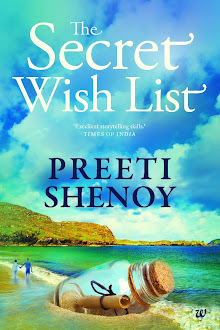 In case you are new and do not know what Wishlist Wednesdays are, it is a writing prompt hosted by me, every Wednesday, in association with Westland Books, the publishers of my new book 'The Secret Wish list' which has been getting some great reviews. Each wednesday I shall host a writing prompt and you can answer the questions in your blogs or in my comment box. One person wins a copy of the 'The Secret Wish list' which will be mailed to them by Westland. I have really enjoyed reading all the entries in the previous prompt. I have also managed to leave comments on many entries. (I might not have been able to leave on some for technical reasons--but I did try). Please send me your postal address and Westland will mail you a copy of the book. Congrats to all who took part. You can write as much as you want or as little as you want. Leave your links below but please link only the exact post and not the whole blog. Thank you Shilpa! Well, only the pre-ordered copies were signed. i signed more than 3ooo books! will announce on FB as well as here. For the first time i am writing the Wishlist Wednesday and i really enjoyed it.Now probably you wil have to bear with me every Wednesday. Happy New Year wishes to you. 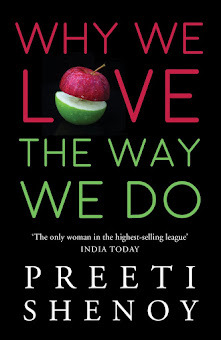 Preeti, this is a great idea. Here's the link to my blog post. Ur blog introduced me to the idea of "prompt" and I love it! The making of Ra--the Egyptian Sun God. Of launches, friendships and the silence between.